WASHINGTON — Senator Elizabeth Warren made a surprise appearance at the National Congress of American Indians Wednesday, forcefully denouncing President Trump’s use of the name “Pocahontas” to deride her and defending her claims of Native American heritage more expansively than she has before. The Massachusetts Democrat also made an impassioned pledge to advocate for issues of importance for Native Americans. The speech was a clear attempt to put to rest a sensitive issue that has been used by her enemies to attack her character and another signal of her potential 2020 presidential ambitions. But she told the gathered tribal leaders from around the country that she drew a distinction between claiming native ancestry and claiming tribal membership. She repeatedly referred to Trump’s insensitivity, not only in calling her Pocahontas but in doing it last year during an event at the White House meant to honor Navajo code-talker veterans of World War II. 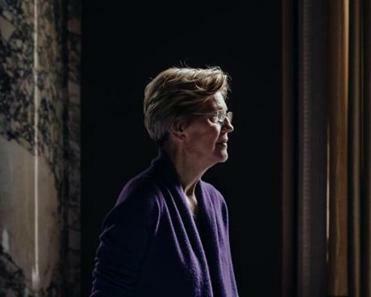 There’s a ghost haunting Warren: her enduring and undocumented claims of Native American ancestry. Warren — who has been criticized for not advocating more aggressively in the Senate for Native American issues, given her claims to ancestry — also appeared to assert greater common cause with Native Americans than she has in the past. Warren delivered her remarks amid concern from some Democrats that the murkiness surrounding her claims of Native American ancestry could hamper a presidential bid. Ron Klain, a former top official in the Clinton campaign who also worked for Obama, said he thought Warren’s speech would “take this issue off the table” for liberals and even independents. While her unverified claims have long been a rallying cry for the right, some liberal outlets have recently begun chiming in, including “The Daily Show” host Trevor Noah and the website ThinkProgress, which hosted a column by a Cherokee activist who called on Warren to apologize. The Globe last month wrote an in-depth story exploring concern among Warren’s own allies. Nagle said that she still thinks Warren should further investigate her family’s claims of Cherokee identity. “I believe her that that’s what her family told her; I just don’t think what her family told her is true,” Nagle said. 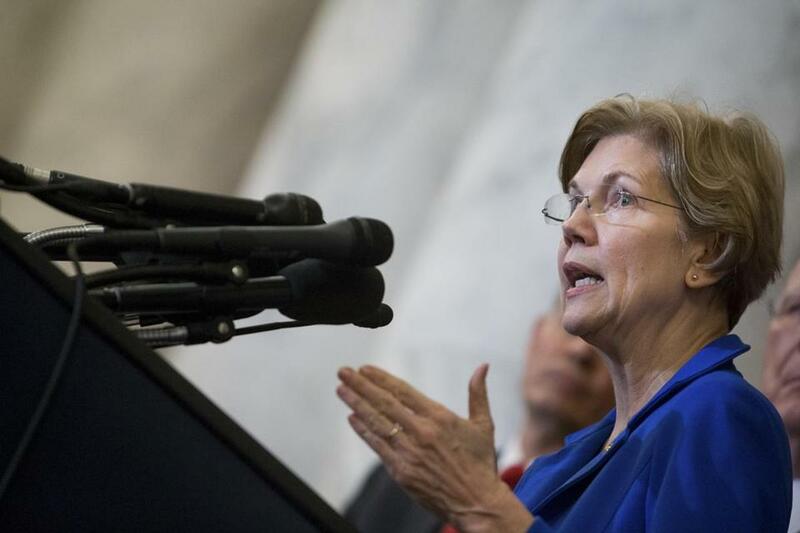 Warren’s move to more publicly address the issue had some similarities to former president Barack Obama’s 2008 campaign speeches about race and to Mitt Romney’s 2007 speech about his Mormon faith. Her speech doesn’t come without significant risks in a toxic political environment and could provide Trump with another opportunity to criticize her. It was also a challenge to her many critics, who have pointed to her claims of Native American heritage as a sign that she can’t be trusted. Warren has often been reluctant to tackle the touchy issue, but she spoke with force and emotion on Wednesday. She contrasted the popular fable — of a woman who met colonist John Smith, fell in love, and became a positive tale of colonization — with a darker, more accurate story of abduction and imprisonment. Warren gave no advance public notice about her appearance before the gathering, which was held at the Capital Hilton in downtown Washington. “Maybe it’s because she would face some difficult questions at the summit,” the RNC said. But instead she was well received inside the banquet hall, receiving standing ovations before and after her speech. “We’ve got your back!” shouted Jefferson Keel, the congress president. Several tribal members said they teared up during portions of her speech. Others said they were not bothered by her claims of heritage, and pointed to their own overlapping tribal identities as proof that such questions are complicated. Trump hadn’t responded to Warren’s speech by late Wednesday afternoon. From 1986 to 1995, she also listed herself as a minority in a legal directory published by the Association of American Law Schools, and she was listed as a Native American in federal forms filed by law schools at Harvard University and the University of Pennsylvania when she was employed at the schools. Her claims of heritage were first subjected to public scrutiny during her 2012 Senate campaign in Massachusetts. Warren’s rival, Scott Brown, said she not only lied about her roots but used it to advance her career at prestigious law schools. Those involved in the hiring process have said they did not know about her heritage when hiring her. Her contacts with the Native American community have been fairly low profile since her election. She’s backed a proposal to allow post offices to offer some financial services, which helps rural communities and could be beneficial to tribes, for example. She’s also worked to ensure data is collected to monitor education in Native American schools, and to combat opioid abuse. But Wednesday she said she was committed to helping them, and she said she would honor the stories of pride, resilience, and hope. For too long, she said, elected officials have ignored their plight. And she said she would be paying more attention. This week, according to one of her advisers, she is meeting with a half dozen tribal leaders.